In the last post, I gushed an awful lot about narrators. I couldn't help it. They have changed my life in profound ways. This week, we'll explore a few other elements around narrators that aren't necessarily as positive. It needs to be said: most authors do not make good narrators, even when it comes to telling personal stories such as memoirs. There are definitely exceptions to the rule but usually when an author delivers a good narration, they have experience in radio or acting, thus transferring previously established skills. I root for authors as narrators but they just don't make the cut and it can often feel like to narrate the book is an act of ego. Too often has the author's inability to navigate their own complex prose turned me away from their book or the inconsistency or over (and under) dramatic voice done them in. Ideally, an author should read the introduction, the foreword, or the afterword--that is, they should contribute and provide a small sampling of their voice that the listener can appreciate and contextualize with the production. However, the full text should be left to the professionals. And that's not to say that narrators are always perfect. Some narrators have definitely botched it in some ways small and big. Though sometimes, this can be the fault of the narrator, the director, or the sound engineer for not picking up on things. I regularly come across vocal shifts in productions where it is clear that the narrator has had to reread a section, possibly days later and his or her voice does not match with the previous voice. Such moments can feel like bad dubbing. Then, of course, there are when narrators get accents wrong, overdo them, or are inconsistent with them. This too can be draining for the listening experience. I've interviewed several dozen narrators over the years. It's been a great experience and I'm a total fanboy when it comes to narrators. However, the interviews were largely promotional so it was often hard to get to really deep and controversial questions. So the following is my wish list of questions to ask narrators. How does narrating a book that has uncomfortable content or content that you are personally opposed to (ethically, philosophically, politically, etc) effect you? What's the worse narration you have ever done and why? What's the worse narration you have ever heard and why? Who's the worst author you've ever had to narrate and why? 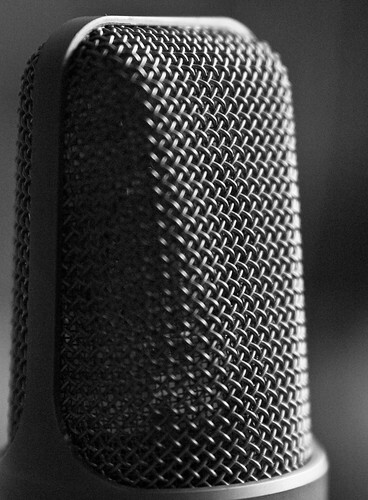 What's the most embarrassing mispronunciation you've ever uttered into a microphone? Maybe I might get an answer for that last one but the other questions are likely to be dodged. That's all for this edition. In the next post, we'll talk about the production--or where the magic happens!